Picture this: you’re sitting in your home, watching television, when all of a sudden you hear a CRASH. Panicked, you look out the windows and see nothing. Rushing over to your fish tank, you notice a crack and the water is quickly seeping out. Don’t panic, pal — just read these tips, and you’ll save the day! As mentioned earlier, it’s important to remain calm. It’s always important to remember what’s going on and in fact, what the game plan will be to save the day. If you panic, then there’s a chance of creating a much bigger problem at hand. Before starting anything, quickly assess the situation at hand. Is it a small/large break? Are any electrical cords in the way? 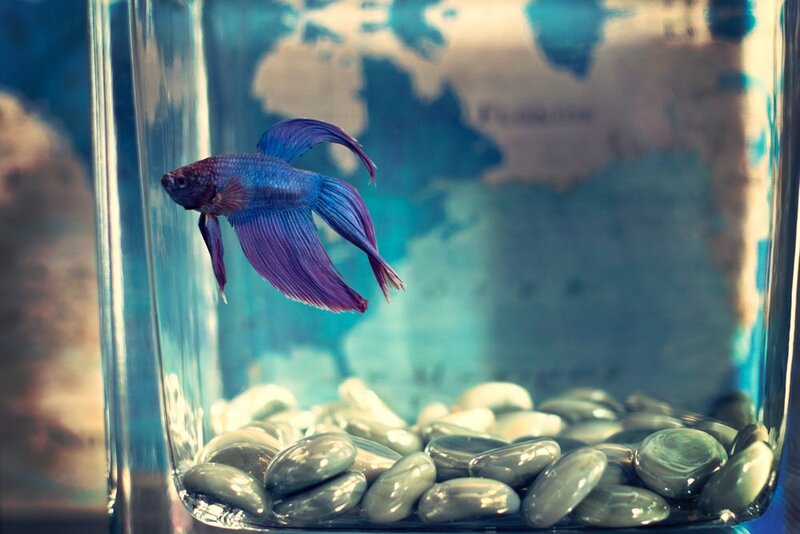 Immediately think of these things, before moving onto the next step: saving your fish. Once you quickly and calmly access the situation, it’s then time to save your fish! One of the best ways to do this is to take a bowl or open container and scoop up your little buddy with some of the remaining water from the tank. This will not only keep your fish calm and collected (in their water), but it will eliminate the potential of your fish going into shock with fresh water. Once you save your fish or fish, then it’s time to take care of the tank. Does your fish tank run on electric? If so, it’s best to make sure that you unplug all lights, filters, and heaters that you may have attached to the tank. This will not only prevent a possible electrical fire, but it will also make sure that nothing happens to the tank, too. Depending on the size of the breakage in the glass, there are two ways to stop the water and remove it. If the hole is on the smaller side, then you can attempt to bring the tank outside (without slipping) and dumping it on the lawn. If the breakage is on the larger end, then it’s best to take an empty cooking pot and place it on the ground, where the water can spill into. Once that’s complete, you can then start scooping out the water with another pot and dump it either out the window or into a sink/bathtub. When it comes to the repair of a fish tank, there a few options you can look into. One of the best options is to replace the tank completely, to avoid the chance of breakage from happening again. Another option is to have the glass panel replaced by a professional. No matter what option you choose for repair, either one will be a great option and will protect your fish’s home in the future! Looking for some more pet tips? Visit our Mineola store! In search of a pet? Give us a call at 516-739-1015 to see what we have in stock!